Click here to participate in our survey! Nantucket’s vast, diverse collection of historic houses is a critical element of the island’s unique appeal, and has been recognized and celebrated for well over a century. Interest in historic Nantucket began in earnest in the latter half of the nineteenth century, soon after the decline of the whaling industry. Visitors to the island marveled at the integrity and raw beauty of its streetscapes and architectural variety, and interest only grew with the 1876 centennial of American independence, when citizens reflected intensely on our colonial past. The large concentration of early houses on island, the seemingly untouched streetscapes and the overall timeless character of Nantucket’s buildings—inside and out—were key draws during the nation’s emerging tourism industry. 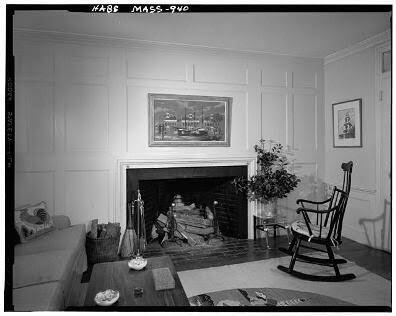 This appreciation of the island’s built environment was championed by leading citizens of the day, including arts patron Florence Lang in the 1920s and Walter Beinecke Jr. at mid-century; both restored historic houses, and helped spur Nantucket’s reputation as a truly special historic place. With the decline of the whaling industry, the island’s economy suffered and stagnated; many left Nantucket (its population fell by more than half between 1850 and 1870—from 8,452 to 4,123) and few who stayed had the means to “modernize” their homes or places of business. One of the few blessings from this dark period of decline, which continued for many into the early years of the twentieth century, was that Nantucket’s architecture—including its historic interiors—remained remarkably intact, as if preserved in amber or frozen in time. The continuing popularity of seventeenth, eighteenth and nineteenth century interiors is evidenced by participation in house tours and other events that celebrate Nantucket’s remarkable historic structures. In recent years, though, the island’s historic interiors have come under considerable threat. Some believe that the elements that make a historic interior special—and irreplaceable—make these interiors old-fashioned, and in need of “updating” and “opening up” so their rooms more closely resemble those of newly built homes on the mainland. This unfortunate trend of robbing the island of its architectural integrity continues. In the pasttwenty years or so, many of Nantucket’s historic interiors have been drastically altered—“gutted”—and many others have been in danger of outright demolition, all in the name of progress. What those who gut fail to understand and appreciate is that the aesthetic values of an intact historic interior are timeless, and that homes with original floor plans, structural elements, doors, windows and trim and original plaster are well-suited to modern living, and modern taste. And, they are unique and are an important part of what makes Nantucket a historic place. In 2000, the National Trust for Historic Preservation listed the island of Nantucket and its historic built environment on its 11 Most Endangered List. The listing was prompted by the impact of development pressures, particularly the loss of historic residential interiors, many of which were built prior to 1860. While the exteriors of these historic properties are protected by the local historic preservation ordinance, the interiors are vulnerable to unsympathetic alterations or wholesale demolition. Documentation is a crucial step in addressing the increasing loss of Nantucket’s historic residential interiors. Compile and correlate information and create a database as a resource for the community. 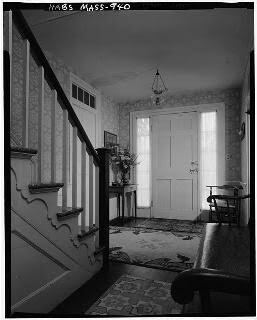 Develop statistics and information to advocate for the preservation of historic interiors. 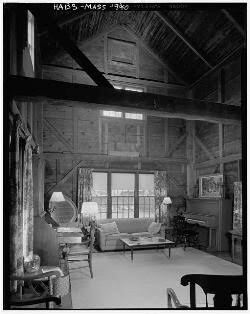 Identify and record historic interiors that have survived. Document threatened historic interiors using 3D laser scanning. The anticipated completion date for correlating information, evaluating and ranking integrity of interiors, completing the database, and compiling statistics is October 2017. Finalize and prepare database for access by public including a user guide and summaries of properties. Professionally photograph approximately 30 historic residences whose interiors possess a high degree to integrity. Produce a publication with a comprehensive list of those properties whose historic interiors remain intact. This publication will highlight priority houses, and will provide information on resources for preserving historic interiors including the NPT easement program. Serving as a companion piece for catalog to an exhibition, the publication will be widely distributed. Prepare an exhibition that introduces and describes the significance of Nantucket’s historic residences and their interiors and conveys the outcomes of the inventory. Public education and awareness is the key goal of the exhibition. Document identified priority properties using 3D laser scanning. Please click here if you own a historic house in Town and would like to participate in the interior survey.